Update by Willamette Partnership Staff; Original post by Nicole Maness on Oct. 23, 2015. 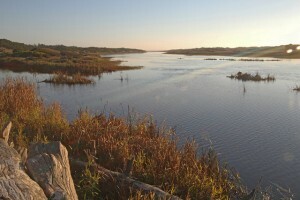 Feature image courtesy of The Wetlands Conservancy. Last week a bipartisan group of over 250 elected officials, led by Pew Charitable Trust, urged the federal government to take measures to reduce the costly cycle of rebuilding after floods, including the use of more natural defenses–like wetlands and floodplains–and reducing development in high-risk areas. 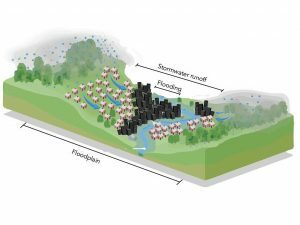 Coupled with 2017 being the most expensive year on record for natural disasters in the U.S., we wanted to resurface our most popular blog post about the importance of floodplains. Among many other reasons why you should care about floodplains, these landscapes along the fringe of our waterways can help protect homes and businesses from damaging floods. 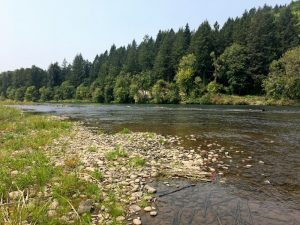 Willamette Partnership is working to help communities become more resilient to flooding by reconnecting and restoring their floodplains. Video of aerial footage of natural disasters in 2017 by Patrick Martin / The Washington Post. Water quality is improved in floodplains where vegetative cover prevents soil erosion and acts as a filter for runoff and overbank flows. Photo of New River courtesy of BLM. Rivers carry sediment, nutrients, and other pollutants, especially when they are running high and fast after a storm. A healthy floodplain gives rivers the space to spread out and slow down, which allows such sediment to settle. This keeps water cleaner, protecting local drinking water and aquatic species like fish. Shading of streams by floodplain vegetation also helps regulate water temperature. Floodplains are rich and biologically diverse environments that can support an abundance of plants, birds, fish, and other species on land and in the water. For example, Chinook salmon rely on floodplains for survival during the freshwater phase of their life cycle. Floodplains take on and store excess water in times of flood, releasing it slowly over land and into groundwater. The flood storage capacity of floodplains means that there is less likelihood that floodwater will end up in your basement. Floodplains do not eliminate all risk of property damage, but when they are managed wisely they can definitely help. When floodplains are intact, flood waters can spread over a large area of flat open land. This reduces flood velocities and provides water storage to reduce flood depths downstream, reducing flood damage risks to downstream communities. 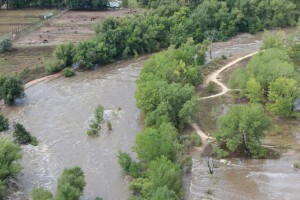 Open Space preserved in McMurry Natural Area and Legacy Park along the Poudre River in Fort Collins allowed floodwaters to spread out and slow down during a September 2013 storm. Photo courtesy of the City of Fort Collins. Rainwater travels deep into the ground of a floodplain to replenish groundwater supply. Groundwater travels slowly into rivers, lakes, and wetlands, regulating the availability of water during drier periods when people, plants, and animals need it most. Floodplains have rich, fertile soils that have made them attractive to farmers for generations. Sustainable agricultural practices can help support key floodplain functions. Spending time outdoors in nature is a reliable and affordable way to improve one’s health. Floodplains provide more outdoor spaces for people to access and play. Whether you’re taking a stroll, watching wildlife, paddling on the water, or fishing, times spent in and around our floodplains contributes to physical, mental, and emotional well-being. Floodplains provide numerous recreational opportunities via lakes, rivers, hiking trails, and spaces to see thriving wildlife. In addition, the long history of settlement in floodplains as people have been drawn to the fertile land and abundant resources create a shared culture and sense of place in these locations. Willamette Partnership is creating a suite of strategies and tools that will help cities reduce their risk of flooding and improve floodplain health. 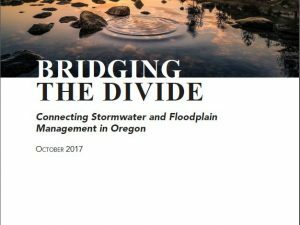 Local governments, state agencies, private landowners, and local conservation groups can use these strategies to better manage floodplains. Learn more about this work here.